Athletes are known for their competitiveness, their drive. That’s why it’s no surprise to learn that research published in the Journal of Sports Medicine has found that a large majority—as many as 60 percent—regularly “overreach” or “overtrain” by either working their body too often or too hard. Dr. Hirad Najaf Bagy (“Dr. H” for short), founder and president of United Wellness & Sports Rehab, located in the suburbs of Washington DC, and team sports chiropractor for the Washington Redskins, Washington Nationals, and the D.C. United pro soccer team, says that he knows this all too well with the athletes he treats. In fact, one overtraining case that he had just a few weeks ago really stands out. “A patient presented with biceps tendonitis, one of the most common injuries we see,” says Dr. H. After following evaluation protocol, it was evident that the patient’s scapula and clavicle did not have full range of motion. Both were restricted and the major muscle groups of the rotator cuff had lost elasticity, imbalances, and hypertonicity. Upon further evaluation, Dr. H found that there was an imbalance between the patient’s right and left shoulders. This right-handed pitcher also had decreased motion in the left ankle and had lost elasticity and mobility in the left calf and hamstring. Overtraining injuries like these make up the bulk of Dr. H’s practice. Patients come in either because they’re experiencing symptoms that are disrupting their ability to engage in the sport they love or they notice that their performance is decreasing or has otherwise changed. What types of overtraining issues are of most concern? It depends on the sport. Samford University adds that basketball players specifically experience a higher number of overuse injuries to their knees, lower back or pelvis, shins and calves. Perhaps the worst part? 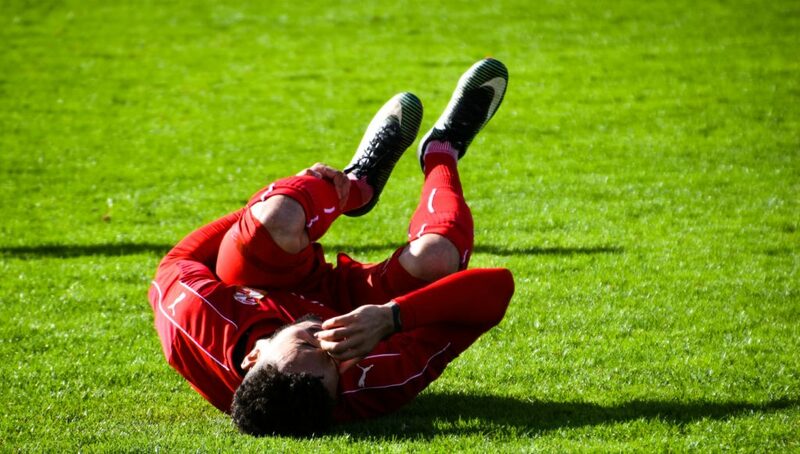 Injuries such as these are appearing in much younger players. “My athletes are getting younger and younger as they come into my office,” says Dr. H. “They used to be 15 or 16, now they are 10, 11, or 12.” So, what is putting these kids at even greater risk when playing their favorite sport? Dr. H speculates that the major reason he is seeing younger athletes with these types of repetitive injuries is because of a rather recent trend which involves minimal, if any, diversification in sports. This means that players are now using the same muscles and movements year-round. Even during the off season, they are still using the same agility, strength, and weight lifting exercises. With incentives such as college scholarships hanging in the balance, it’s not hard to see why these young athletes are working harder than ever to perfect their sport. According to a 2016 survey of NCAA schools, the average men’s baseball team awards $13,220 in financial aid and the average women’s basketball team hands out $36,758. To qualify, players often need to be “the elite of the elite,” says Dr. H, causing overtraining issues to now develop in the early to late teens. While this sounds rather daunting, the good news is that, with the right approach, Doctors’ of Chiropractic (DC’s) can often help their athlete patients avoid overtraining injuries. And as evidenced by Dr. H’s case from just a few weeks ago, they can generally do so with very positive results. “As chiropractors, we have good success in treating a condition like biceps tendonitis,” says Dr. H, “but then we may have the patient come back in a couple months with the same injury or some other injury.” So, while it’s important to address the initial injury or condition via strength and range of motion exams, the real question that needs to be answered is: Why is this athlete having this injury? Oftentimes, Dr. H says the answer lies in the young athlete’s schedule. On the day of the game, for instance, they typically have some type of unhealthy grab-and-go breakfast, then jump in the car for a 1 to 2-hour ride, only to arrive maybe a half-hour before the first game begins. At this point, they’ve had minimal nutrition and limited time to warm up. Then, after playing 3 to 4 games total, they do the same things in reverse. This means that there is no time for the player to rehab after the game and, because it’s easier, fast food is usually on the menu at that point as parents are intent on satisfying their player’s appetite, but not necessarily their body’s nutritional needs. Another factor behind overtraining injuries in youth athletes is imbalances within their body. Adolescents in the 12 to 16-year-old age range have tremendous development in bone growth, tendon, and strength development, says Dr. H. Because of this, they compensate more and that compensation leads to injury. That’s why Dr. H has created a three-phase Bio-Orthomechanics treatment protocol that addresses the evaluation and treatment of soft tissue injuries related to overtraining in sports. What do these three phases look like? The goal of phase two is to address secondary areas, says Dr. H, such as issues that are present in the lower body even if the injury is in the upper body, like the example presented previously. This involves looking at the complete athlete to determine what factors are contributing to the injury. Finally, phase three addresses strengthening, agility, and maintenance care. Essentially, Dr. H says that athletes need continued “prehab and rehab care.” This requires DCs to create a training and recovery training program that includes, but is not limited to: flexibility, chiropractic, physical therapy, massage, foam rolling, heating the area, proper nutrition, and athletic training to prevent and repair the wear and tear on the body. How can DCs help prevent overtraining issues when the rest of the world seems to want athletes to specialize in one sport and one sport only? According to Dr. H, it all begins with education. “Every visit is the opportunity to educate my patients and their parents about what to look for, what to do, and how to do prehab and rehab,” says Dr. H. The more they are informed about what overtraining is, what it does, and how to avoid it, the easier it is to maintain the athlete’s musculoskeletal health. It also involves teaching athletes how to communicate with their coaches if they have a symptom of overtraining, says Dr. H. It is critical to educate players, parents, and coaches about how to have the right dialogue so they are all on the same page. “As chiropractors we should actively engage with young athletes and their parents and coaches to recognize potential injuries associated with overuse,” says Dr. H. Chiropractic can make a big difference for these athletes, potentially gaining control over this growing epidemic.